Nautilus 1606 has a full wrap around balcony that offers incredible views over looking the emerald waters of the Gulf of Mexico. 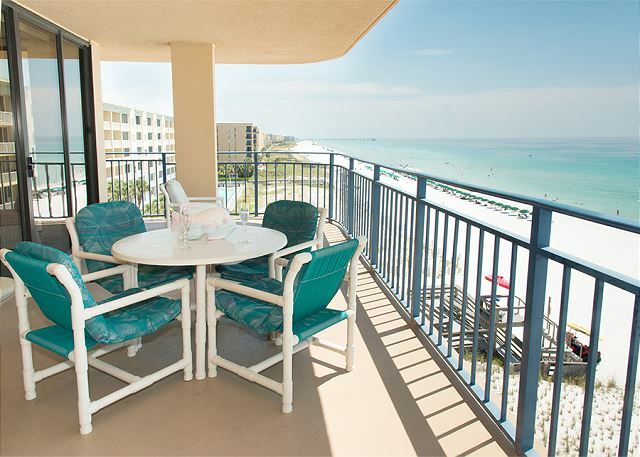 Furnished with beautiful beachy colored furniture to get you to relax. All of our rentals come with full linens, a washer/dryer in unit and fully equipped kitchens so all you have to worry about is having fun! 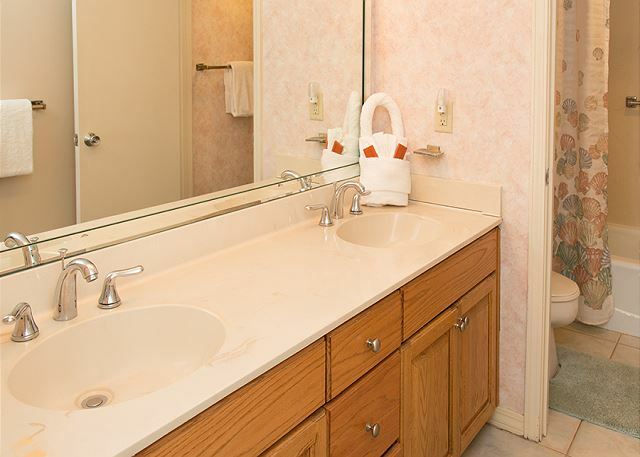 In addition, our complex offers a pool, grill/picnic area, FREE WIFI, car wash area, boardwalk for the beach and a convenient market next door! During the months of March through October we also offer FREE beach service! We’re located only 5 minutes from both Fort Walton Beach and Destin on Beautiful Okaloosa Island and only 3/4 mile from excellent dining, nightlife, shops, water activities and the Gulfarium! Once again we had an outstanding time and the Nautilus was great. Everything was AWESOME... from the rental experience itself, to check in, the condo and check out! Everyone there was so helpful! The condo was clean, floor plan was just as it showed during my rental process. I would highly recommend others to stay with the Nautilus! We will definitely be staying here on our future trips to Fort Walton! This is my second time staying in these condos and for the second time I’ve had a great experience, the condos are very clean, the gulf view is breath taking, it was a very quiet and comfortable place to stay. The only “negative” things I would have to say is the elevator is quite slow but other than that I only have good things to say about my stay. The staff was very polite and helpful! Hi Ernestina Thank you for the nice review and we hope to see you again soon. I loved our room and the amazing view! This unit had an amazing view. It was fanatastic. Will be reserving it again. Everything was great! Only issue was that we planned on a particular condo so we could be next door/ on the same level as other family for convience and we were placed in a different condo on the floor above our family which made it a little more difficult with a toddler going back and forth. We would also prefer no smoking at the pool with children present.